"V-Tamer scribble. While it seems that until August 21st I cannot give a detailed announcement, still, at that time I will draw again. Thank you very much!" Japanese fans on Twitter are ecstatic at the news, with many of them having a particular nostalgia for V-Tamer, which predated the Adventure anime series in Japan. Many are shocked by the news, not expecting anything new related to the long-finished series. Exactly what kind of V-Tamer material will be included in this coming issue of V-Jump is uncertain, but fan support for Yabuno's work is strong. In a later comment, Yabuno cryptically added "Somehow, I wonder if this is too suggestive of the announcement... (^^; Uumm, for now, it's better not to buy the expensive volumes on Amazon." While a reprint of the manga is possible, this may not be the only V-Tamer related news to come out of the issue--reserving the announcement for that month's V-Jump may point to something slightly more substantial than just a reissue. V-Tamer 01 remains the longest continuously running Digimon manga in franchise history, chronicling the adventure of Yagami Taichi (based on a prototype of the Adventure protagonist) and his V-dramon Zeromaru. 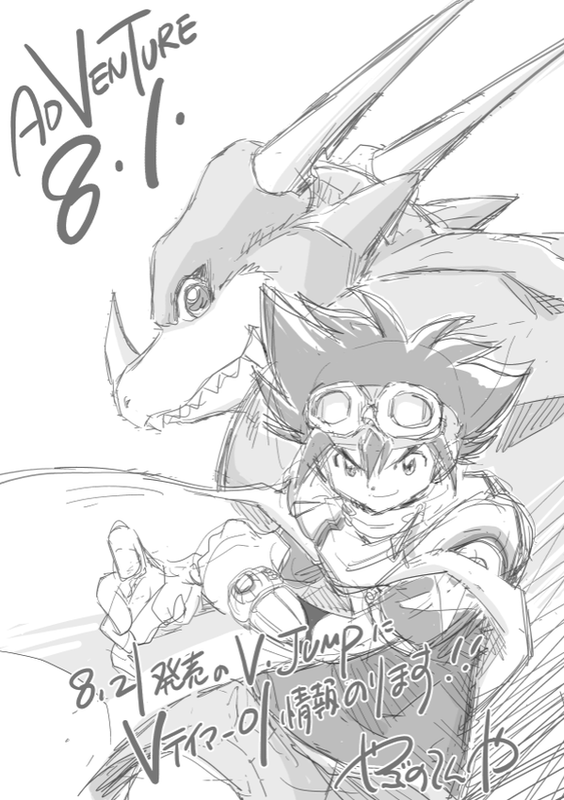 During its run, the manga featured crossover sidestories with every season of the animated Digimon franchise through Frontier. It was originally used to promote the Digital Monster virtual pets and later the Pendulum series devices, although it opted not to include the Pendulum X series developed late in the manga's life. After its storyline was completed the manga was later compiled into nine volumes. A new entry in the series now would be the first new material for V-Tamer 01 in twelve years to the day.